Light. We all need it. Too many times I have been in (or under!) the RV and needed a light to fix something or take a better look at a problem and didn't have a flashlight handy. As a disclaimer, I have a serious fascination with flashlights. Even as a small child, I would look with wonder at anything that generated light without fire. No, I wasn't a caveman!! But being from a time where "double A" penlights were the best we could do...the age of LED's and ultra bright lights seems quite amazing! In this age of wonder, there is a veritable smorgasbord of cool lights to keep around for any purpose. I've got one in particular that I find very useful. 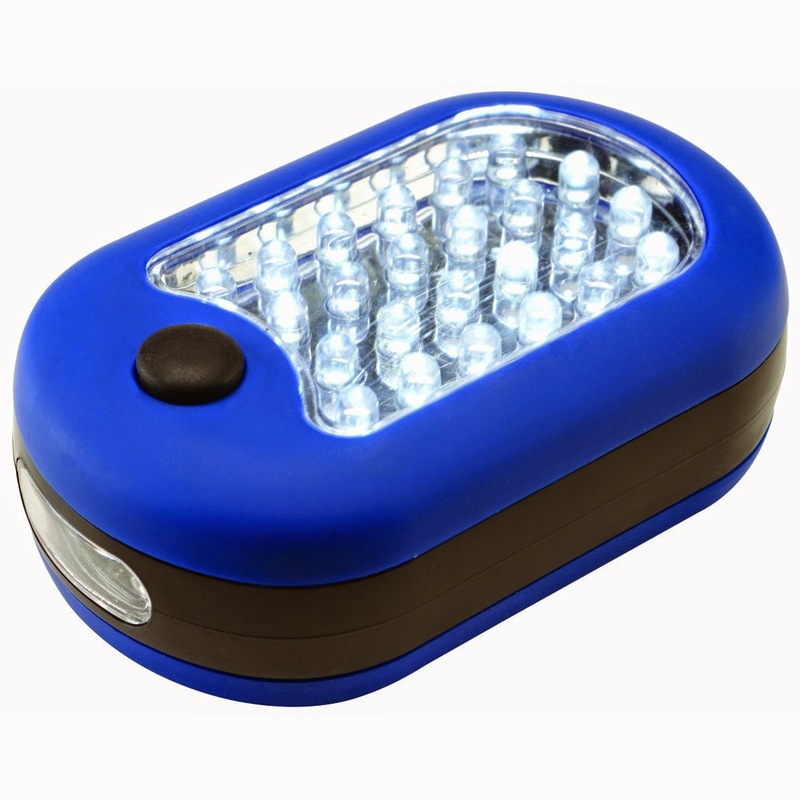 This tiny inexpensive gem both lights up an area and can be used as a spotlight. At $3.49 (or free if you have a coupon) including batteries this one is a keeper! It's a small oval about 4" long by 2" wide and about 1" thick. It's got 24 LED's on one side and 3 LED's on one edge. The switch let's you toggle between each set and turn the light OFF and ON. The 3 LED setting is great for "regular" flashlight use and the other is fantastic for area lighting and repairs in deep cabinets...or under the sink...or under the couch...or in the engine compartment...or in a bay...ask me..I know! I keep more than one of these around at all times. Since they have both a magnet on the back and a fold-able "clothes type" hanger, it's really easy to find a place for them to live. For me, I keep one magnetically attached to my range hood and another sitting on the counter held in place by the stove-top cover. They are both easy to get to. Since I got each one (at different times) with a free coupon, they are nice at the right price! The coupons come up quite often, so I believe I will never have to replace batteries in them! Just get a new one. Of course I'll give the first one to a deserving individual who happens to have 3 AAA batteries lying about! If you are a flashlight junkie like me AND you're practical, this little light fulfills a myriad of uses. AND it's cheap. Not cheaply made (well I guess it is...but the materials are good quality) but actually cheap as in DOLLARS! Even if you pay retail, it's only $3.49. So far the ones I have had for 3 years are still going strong. I just got another coupon last week....time for a third. Hmmm, wonder where I'll put that one! Be Seeing You...Down The Road. 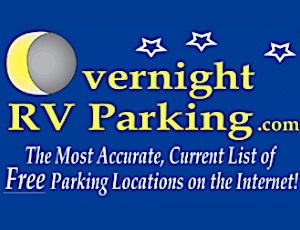 It’s sad, but every year RVers die from carbon monoxide poisoning. CO poisoning is, in fact, the leading cause of accidental poisoning deaths in America, yet many people don't know they are suffering from it until too late. This battery-powered COSTAR Detector comes with an easy-to-install mounting bracket, instructions and screws. If you don’t have CO detector in your RV, you’re living dangerously. Learn more or order. Musta' been reading too fast. Where is the coupon from?